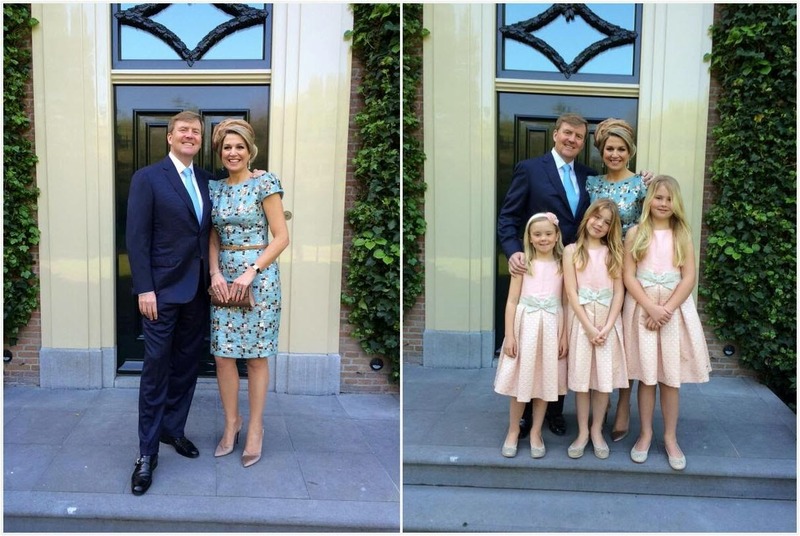 The Dutch royal family celebrated Koningsdag, or King's Day (formerly Queen's Day, the annual celebration of the monarch's birthday), over the weekend. Queen Máxima wore a Natan dress with a hat from Fabienne Delvigne. The three princesses wore Pili Carrera outfits. This is a jolly little outfit for a jolly occasion, is it not? Máxima's dress is embellished with metallic pieces which pick up the sunlight, a wonderful touch for an outdoor occasion. Could have done without the donut hat (or is that more of a cronut? ), but honestly - that's what makes it Máx. For more from the day's shenanigans for the whole family, click here for a gallery.